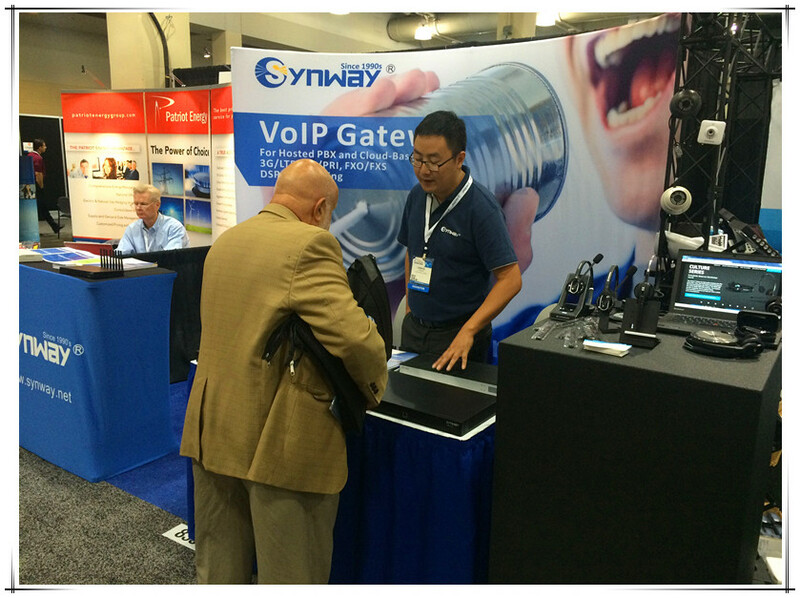 September16th ,Boston---Synway, a world-leading IP communication services providers, attended Cloud Partners 2015 with its innovative and utility VoIP products and solutions in Boston,U.S. Via Cloud Partner 2015, Synway showcase its VoIP gateway family, which is used for IP PBX, Unified Communication and Call Center. With over 20 years of experience in telecommunications market, Synway solutions are winning more and more recognition from both service providers and enterprise deployments. Synway SMG gateway family helps customers access to IP networks from legacy telephony applications more reliably and efficiently. Our Field-proven PSTN/IP signaling technology possesses unparalleled and seamless interoperability with any complex network environments ,which exponentially reduces partners’ investment and time to markets under any uncertain situation. For its complete product line, products with good quality and friendly after-sale system , Synway has been recognized by a increasing number of customers in the overseas market. And it has occupied a certain position in international market, Synway continues efforts to develop and create better communication solutions. Future, Synway will keep fortifying investment in overseas markets to accelerate global strategic layout. The cloud means business! Of course the cloud means business, right? But just like every new trend in business, it takes a while for vendors to solidify their cloud services, for partners to understand how to sell those services and for end users to actually demand those services. For the cloud, that time is now. Partners can expand what they sell while delighting end users by offering services they know are affordable, rock solid and business ready. Cloud Partners 2015 will tell you how to enable scale, impact and action based on the cloud services that you deliver through your cloud practice.